I love filling random molds with concrete. My Concrete Garden Orb and Flower Stepping Stones solidify that. 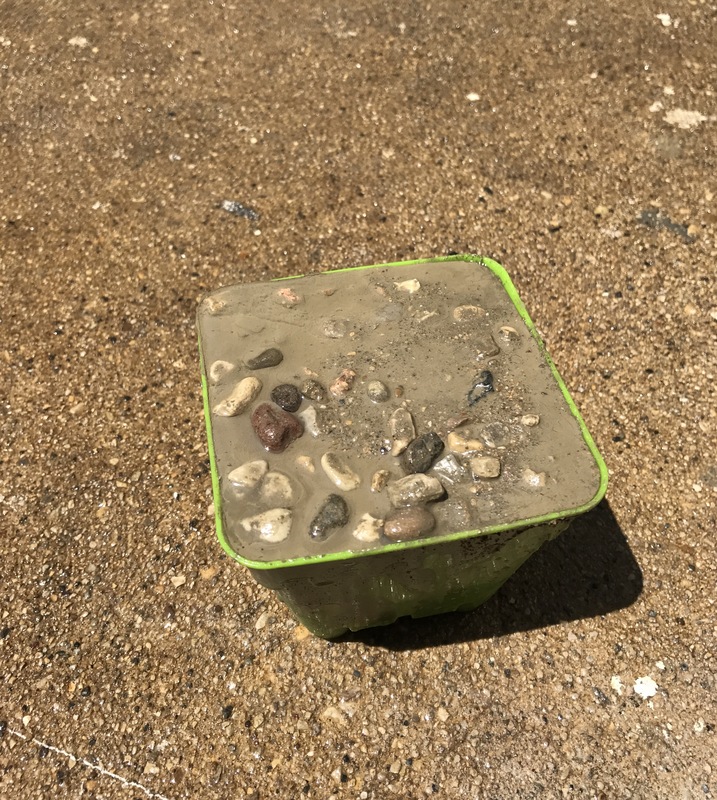 I have been wanting to fill sand castle molds with concrete for awhile now. When I saw a beach set combo package with these smaller versions in it at my local convenience store, I knew it was time. I love how the concrete castles look displayed in this oversized platter. 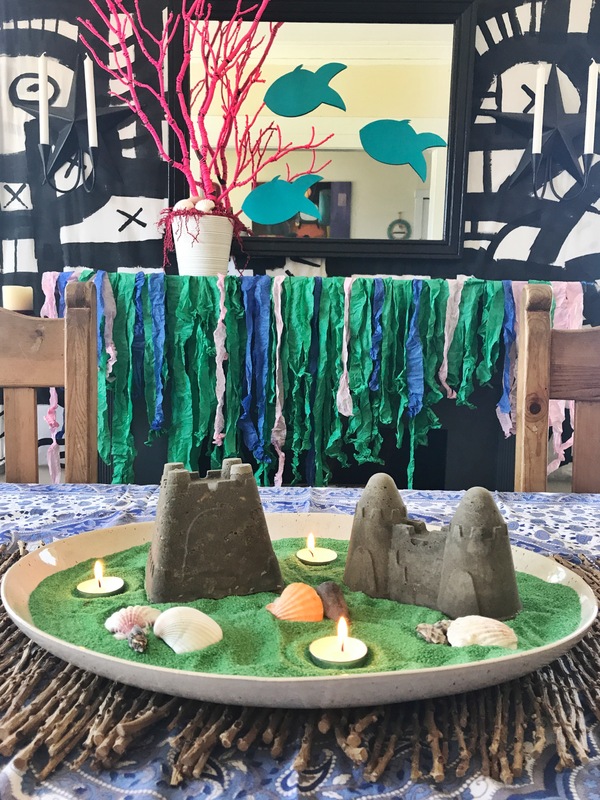 I added colored sand, tea light candles and shells I picked up at the dollar store. 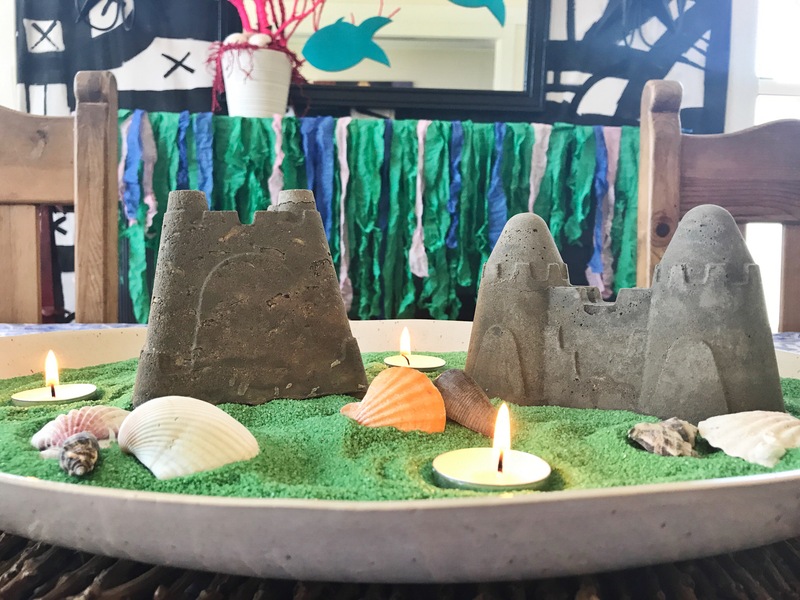 What a perfect centerpiece for a beach/summer party! 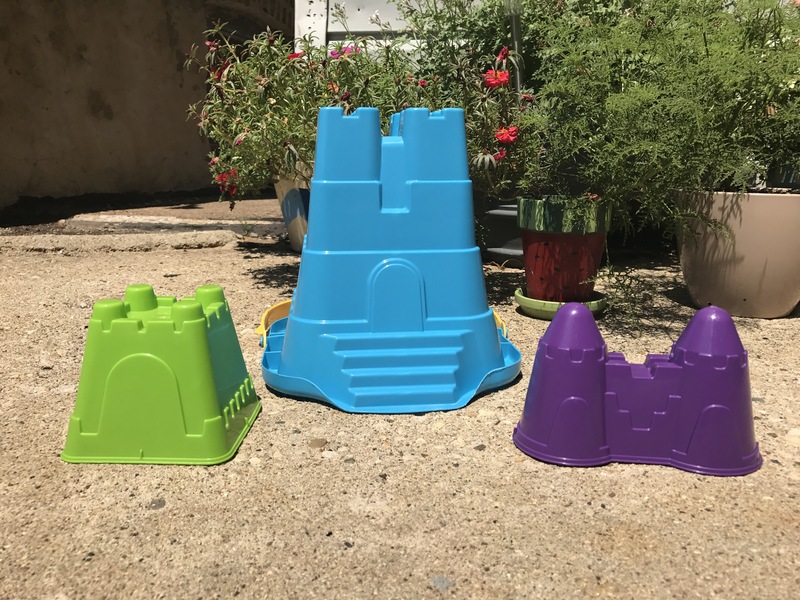 The beach set included these three various sized castles along with a bunch of other beach toys. Yes, I filled the big one with concrete too! 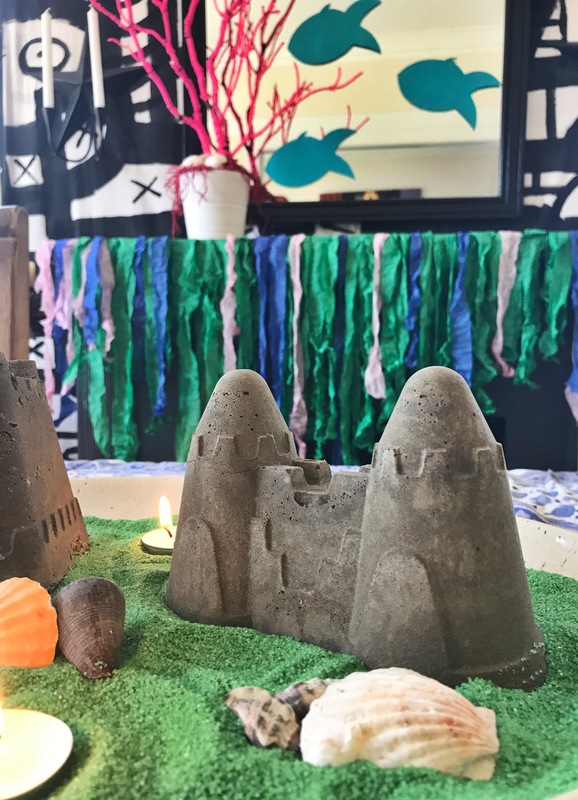 There’s not much of a tutorial here, but you’ll want to spray the insides of each sand castle mold with PAM to help the concrete slide out easier when dried. 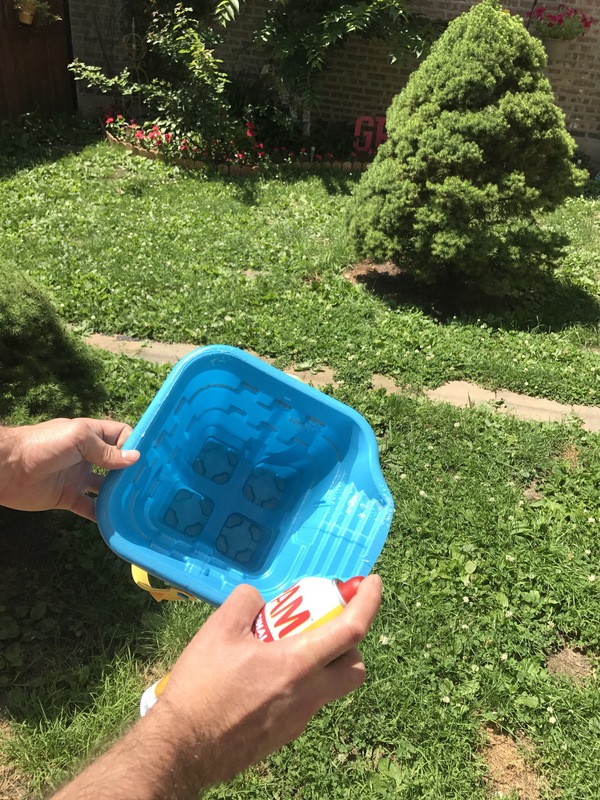 Mix up the Sakrete concrete following the instructions on the bag and pour into each mold. 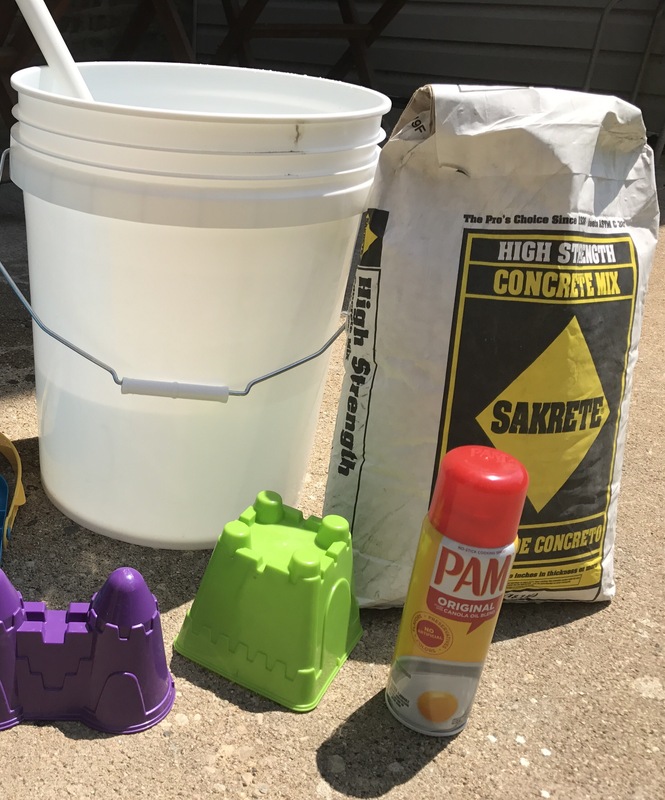 Be sure the concrete is fully dried before removing from the mold. I waited 3 days before removing mine, but a few more days wouldn’t have hurt. The smaller castles came out pretty easy with no damage to the mold. I had to cut into the larger one to get the castle out. I think spraying more PAM into that mold would have made the removal a little easier. I have always loved the natural color of concrete. 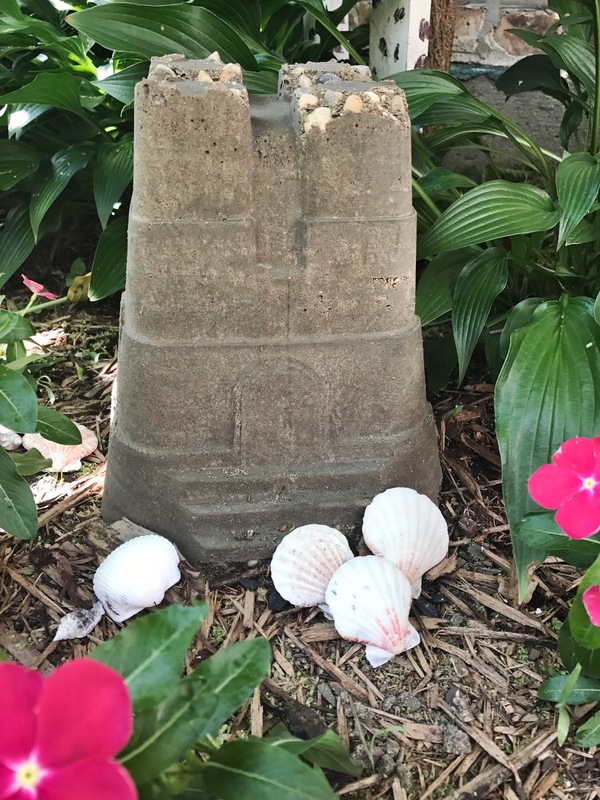 However, the concrete can be tinted or painted. Get crafty with it! 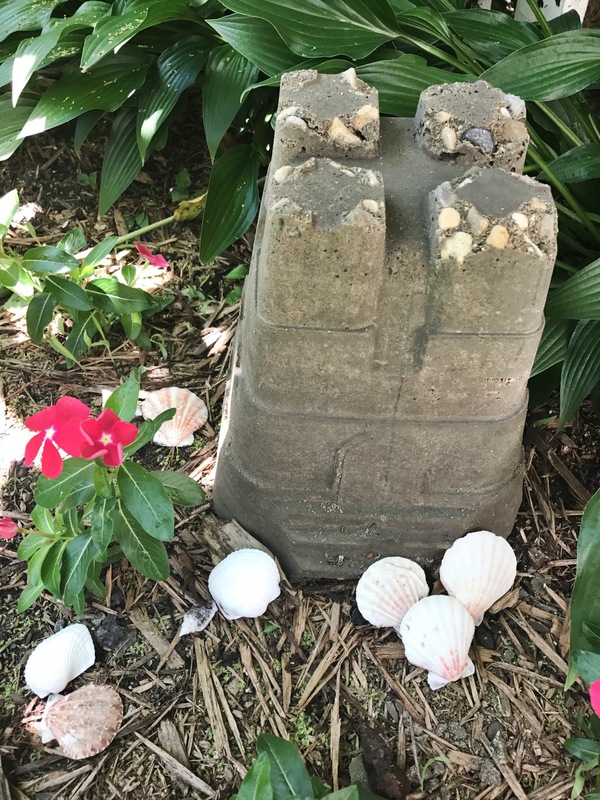 I put the large concrete castle out in the garden. A few shells completed the scene. The top didn’t come out perfect, but I think it gives it a little character. These concrete cuties look great. How fun is this. You can take this so many ways for garden art. Love it! Just leave my name out of it! HA! Mark, this is a really unique project! Never would have thought it was possible to use concrete like this. Concrete reminds me of road repair, not arts and crafts. Kudos to teaching us all something new! Thanks! Concrete is so fun to work with.